An appeal is being made for volunteers to help out at the Pegasus Riding for the Disabled Centre in Tranwell near Morpeth, which is managed by Active Northumberland. Regular assistance is needed to support leading the ponies during classes at the centre. Some knowledge of handling horses would be an advantage, although not essential as training will be given. Help is needed on Tuesday afternoons between 1pm and 4pm, Tuesday evenings from 6pm to 7pm for a Useful Vision Group of visually impaired riders, Wednesdays between 1.30pm and 4pm, Thursdays from 12.30pm to 2.30pm and between 5pm and 7pm, Friday afternoons from 1.15pm to 2.30pm and Saturdays between 10am and 3pm. The Morpeth Riding for the Disabled Group is a registered charity giving people with special needs and disabilities a chance to develop their abilities and enrich their lives through riding specially trained ponies. 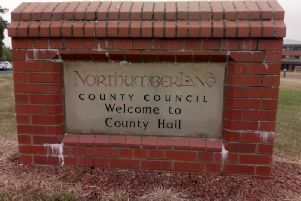 Cath Homer, cabinet member with responsibility for leisure at Northumberland County Council, said: “We have a small, dedicated team of paid staff and a team of passionate volunteers that turn up week in, week out to provide their invaluable support. “However, we still need more helping hands. More than 300 riders aged between four to 67 use the centre each week – travelling from all over the county and even Tyneside to attend.